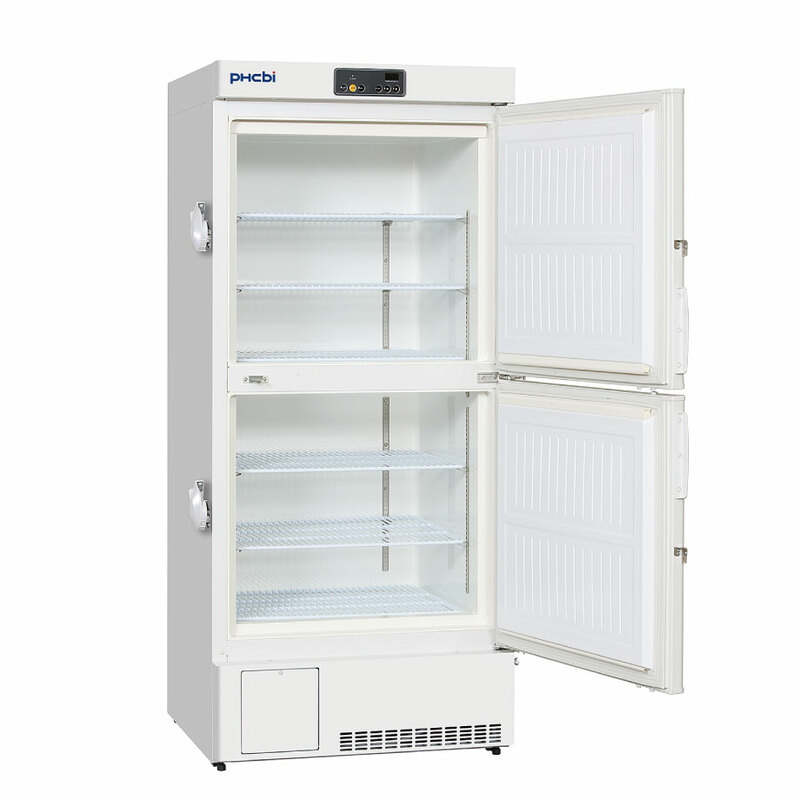 PHCbi medical freezers are equipped with various specifications that enable flexibility and maintain the quality of the samples during preservation such as height-adjustable shelf trays and sealed doors that suppress the leak of cold air. 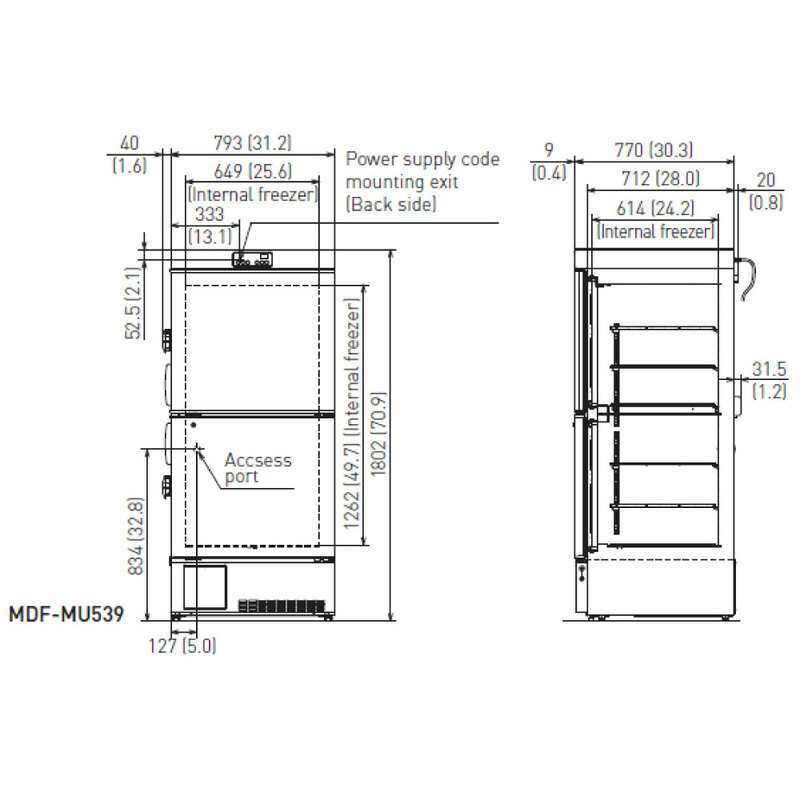 Users can choose the model that meets their specific needs. 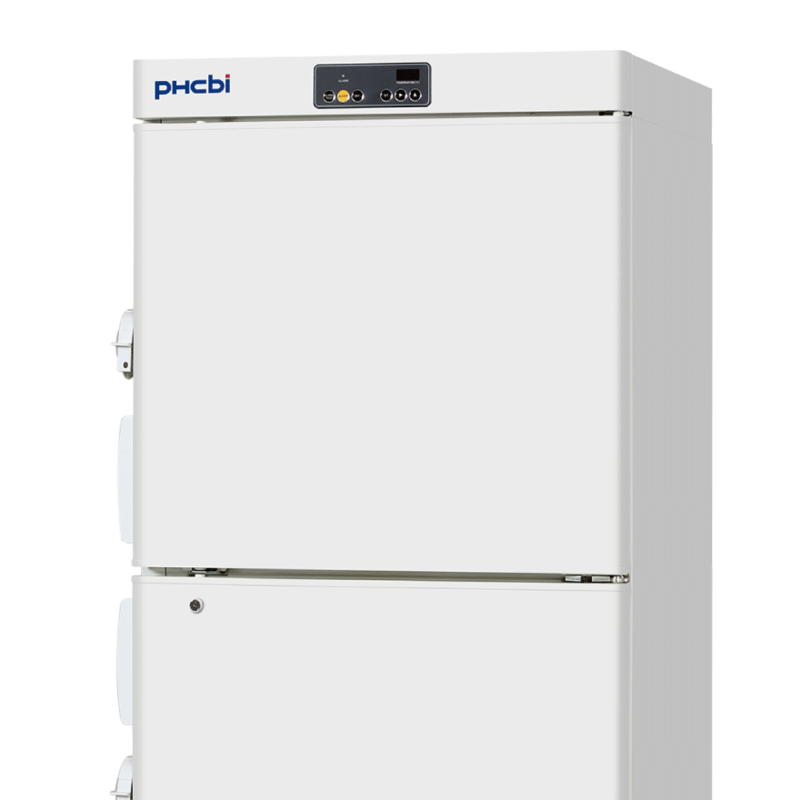 PHCbi also offers the MDF-MU500H Biomedical ECO Freezer, which has a capacity of 482 litres. 1) *The actual energy consumption may vary depending on the use. Height-adjustable shelf trays allow you to adjusts the inside of the chambers according to the size of the samples. 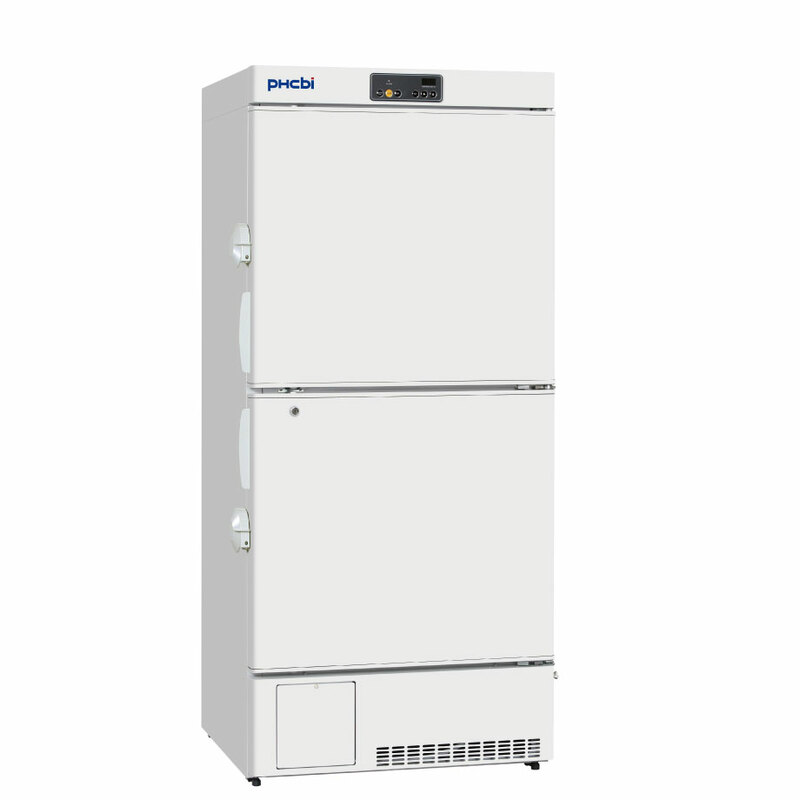 By changing the height of the shelf trays, the unit can accommodate chamber containers of various sizes including storage boxes of conventional models. 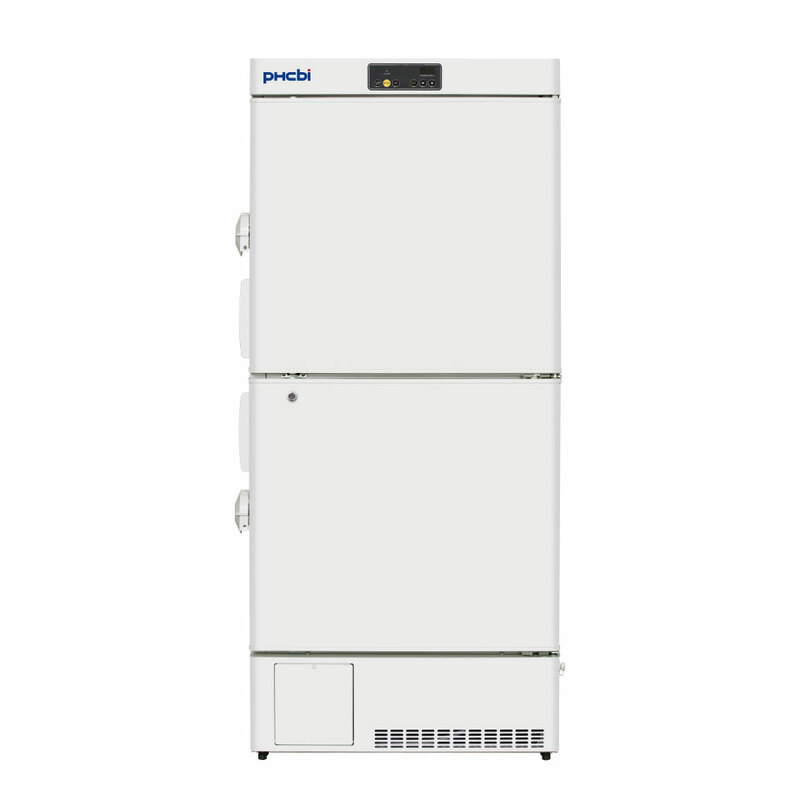 Equipped with separate doors that suppress the leakage of cold air during opening and closing of the doors, and manual defrosting that helps avoid temperature impact on the samples.